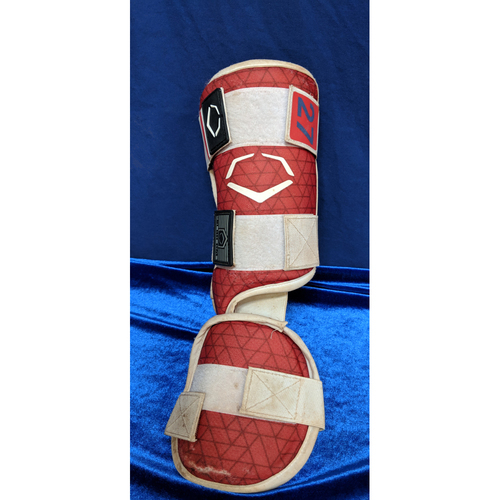 This Shin Guard was custom made for Los Angeles Angels Center Fielder, 2012 American League Rookie of the Year and 2 time American League Most Valuable Player Mike Trout for the 2018 Season. 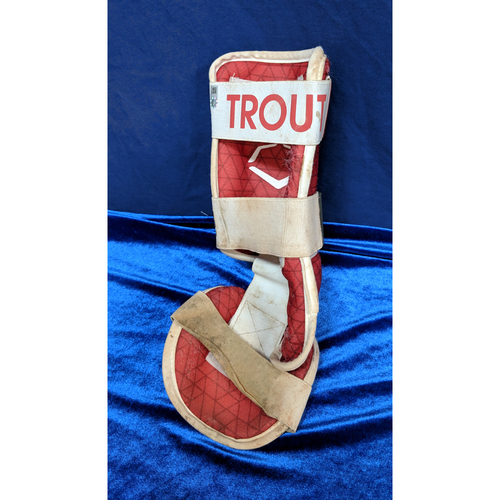 This Guard was pulled after the September 30th 2018 home game against the Oakland Athletics and Is Branded with Trout's name and Number. 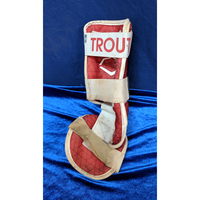 In the 2018 season Trout with hit for a .312 average with 39 home runs, 79 runs batted in and was hit by 10 pitches. This guard measures 15"x5"